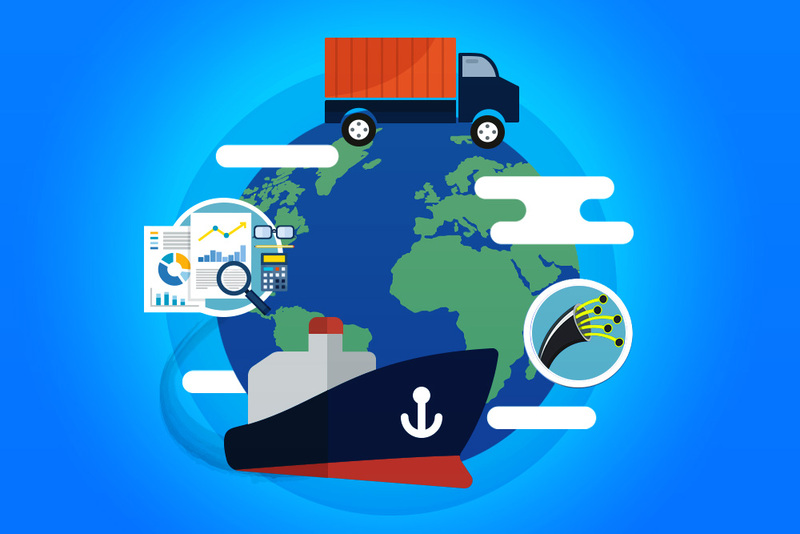 Three key processes define the international cargo and logistics industry: the shipping of products; the computation of this movement; and the process of how things are moved. All of these crucial processes have substantial challenges when done on a widespread international scale due to various geographical limitations such as distance, the oceans and mountains. That’s why the landscape of international trade as we know it now has been defined by the innovations in logistics that have assisted us in scaling these challenges. Here, we will look at the some of the important developments that have helped shaped logistics and cargo. No development in cargo history is as crucial, yet simultaneously as underrated, as containerization. What was first considered to be a slight innovation, containerization transformed into the single biggest factor in the world of international import and export. When we look at the importance of global exports, we can see how it is linked with the launch of containerization, 1956, and the global exporting boom. Before this innovation, shippers would usually be in port for a few weeks due to the time challenges of loading and unloading of goods. Today, however, a cargo ship can be in and out of port within the day. While this increase in speed is important for all types of goods, those with expiry dates in particular were greatly affected. Time is the key challenge in the long-distance shipping of perishable products. And, without the improvement in speed brought about by containerization, the industry of fresh produce might not have the international status it’s enjoying today. It is very important to know that the importance of the barcode in the evolution of logistics highly depends on the computer systems, which handle data processing that the barcodes give. This combo of computing power through the barcode made it possible for managers to have a better knowledge of crucial info within the supply chains. The combination of development of the barcode, which allows data to be conveniently tagged to products, and the development of the computer, which allowed for the conversion of data into information that could be used by the human offshore back office solutions, means that efficient global production systems could be made. If the fast transport of info and ideas between location-based nodes of a business is impossible, then globalization of that biz may not happen. A business cannot provide direct control in a host country if it cannot communicate with their global partners abroad. The communications challenges were overcome by large corporations at an earlier level due to the scale of economies. The huge cuts in overseas communication costs, enabled new businesses to beat this challenge. Although underwater fiber cables had existed for over a century already, it was not until the development of fiber optic cable that the transport of info became fast enough to be useful in a globally dispersed type of industry.